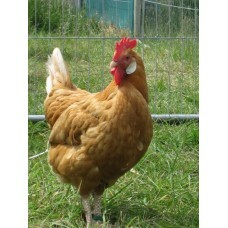 Buff Leghorn Large fowl fertile hatching eggs. One of the nicest of the leghorn breeds to look at, and also a very good layer of a medium to large egg. The egg is not pure white because these are the show strain of bird so the eggs are a pale cream colour. This site takes you through to paypal if you do not want to use this payment method then I can take the payment by phone and also offer overnight special delivery option to guarantee the eggs will be with you by 1p.m. the following day. Please ring me on 01452724565 or 07709933064 with any questions I will be please to help all I can.